We are extremely excited to inaugurate the blog’s brand new section, “Beauty Elements.” Just as our blog is about real people with real style, our first post deals with a very real-life scenario. 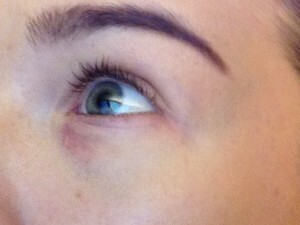 While on vacation in Moscow, Russia, Julia ended up with bruising near the eye. Read below how she handled it – beautifully! First of all, I want to make sure you know that I did not get punched in the face! 🙂 I had a tiny cyst under my eye, and when a dermatologist gave me an injection to get rid of it, I got an instant bruise (the blood vessels are very close to the skin in that area). So, I have this black and blue eye and can’t do anything to get rid of it but wait. No creams will help. I am on vacation and do not want to stay home just because of a bruise. I know many of you have seen tutorials about contouring, strobing, applying false eye lashes and so on, and are probably bored of them. Let’s talk about something real. 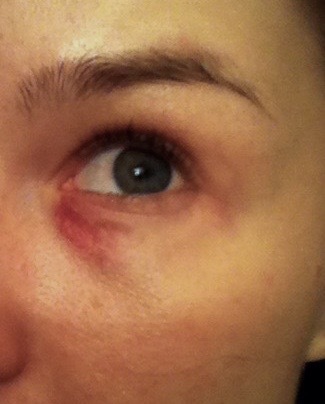 We all get bruises on our bodies (in my case, right near my eye!) and sometimes we need to cover them up. 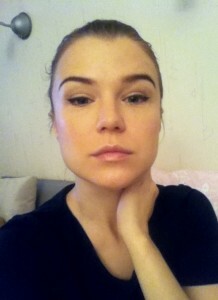 I want to give you some tips on how to conceal a bruise, focusing on the eye area in my case. Since I have not brought all my makeup with me on vacation, I will have to use what I have in my suitcase. Note: I confess that I am not a professional makeup artist and do not follow standard makeup rules in this post; I am just writing about something that works for me personally and hope it will help some of you as well. 1 – Moisturize your skin under the eye; it will help you with applying the concealer. By the way, make sure you keep your under-eye skin hydrated every day, as this is the area where fine lines and first wrinkles appear. 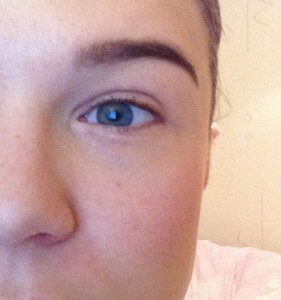 2 – Pick up an apricot-toned corrector or concealer with a peachy base, since that really offsets the blue. Apply that first. But if like me, you don’t have it (I love the one by Bobby Brown but left it in Italy), then use any concealer you have under your eye – or you can even use foundation. Make sure you don’t press too hard or rub. Lightly dab it into your skin. 3 – Now find another concealer with a thicker consistency to further cover the bruise. Don’t create a triangular shaped area under the eyes, since we are not trying to create a dramatic look or contour; we just need to cover the bruise. 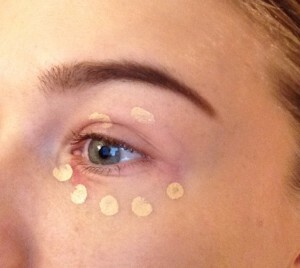 Carefully apply your concealer directly to the area. Don’t press too hard, and don’t use a wiping motion; pat it, using your fingertip. 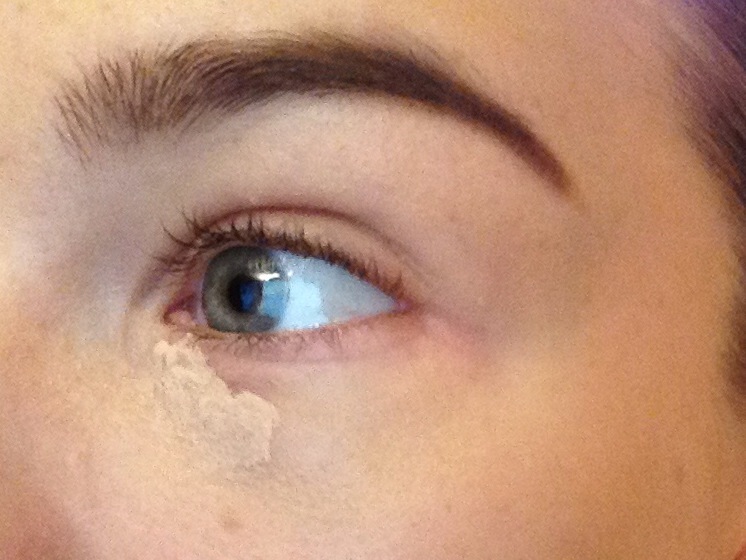 4 – You can also apply your concealer with a brush – whatever helps you focus more easily on the bruised area. 5 – Make sure you have applied enough product; if not, don’t be afraid to use more. 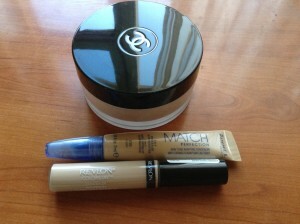 6 – Use a powder to set the concealer and to prevent creasing. Don’t apply too much though; you don’t want it to look cakey. 7 – The last step is very important: recheck it during the day. 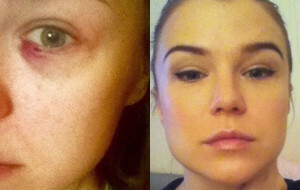 Take the concealer and powder with you, the makeup job should last but if you are out for long, you may need to reapply. 8 – This same technique can be used to cover up a pimple; green concealer applied before a neutral one should offset the red color, but it doesn’t work for me. I have read that you should use a green concealer, I prefer a neutral color. Makeup really gives a girl confidence. It helps hide your imperfections and highlights your beautiful features; it performs miracles and can create such dramatic changes that it makes plastic surgery more superfluous than ever before. 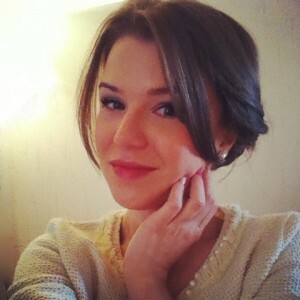 Excellent tips and beautiful face! Thank you!